Attempting to rub out winter from our calendar is no new notion: plenty of us spend our time devising ways to miss out on the season altogether, choosing instead to follow the sun around the world and bask in its brilliance – preferably from a beach chair. So you know when winter chill hits, the question is, where will you plan to go? That, friends, is something we can help you with. Why don’t you try these sunny suggestions on for size? If you’re looking to drop your bags somewhere right on the beach, with the fresh ocean breeze hitting you in the face, then this Hawaiian gem ticks all the boxes. Occupying a prime oceanfront location in West Maui, set across 11 acres of Hawaiian gardens and fronting the world-famous Kāʻanapali Beach, Kāʻanapali Beach Hotel is just what the sun seekers are searching for. ‘Hawaiʻi’s Most Hawaiian Hotel’ is home to a hoʻokipa (hospitality) team of cultural advisors, who are dedicated to offering authentic cultural experiences daily through a range of complimentary family-friendly activities. Executive Chef Tom Muromoto takes pride of place at the Tiki Terrace restaurant, which also plays host to the hotel’s award-winning Sunday Champagne Brunch. For a true Hawaiian feast, experience the Legends of Kāʻanapali Lū‘au, where you’ll find island fare and the story of Kāʻanapali’s history told through song and dance. If you’re hunting for the quintessential postcard getaway, defined by crystal clear waters and white sandy beaches – you’re certainly not alone. From Thailand to The Maldives, Centara – and its assortment of accommodations for every budget – has you covered. With six brands and 38 properties in 18 destinations, Centara offers accommodations to suit every need. Whether you choose a modern city hotel or secluded island resort, the properties offer gracious hospitality, expertly prepared food, stylish décor and family-friendly amenities. Centara offers value and comfort, no matter your budget. From its luxe offering, Centara Grand to the laid-back millennial COSI brand – there’s an enticing option for every traveller. Enjoy a family holiday with waterparks for the kids, bars and spas for parents, a beachside hideaway for couples or a stylish offering for younger travellers. 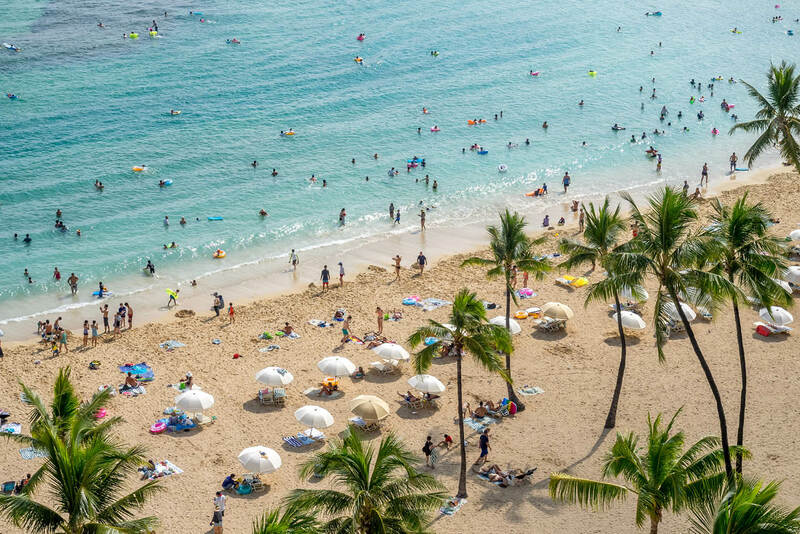 The all-apartment resort in the heart of Waikiki is changing the getaway game with extra space, value-packed amenities and the perfect location in the heart of Waikiki Beach Walk that families will absolutely love. After a full day of adventure, kick back on the breezy Grand Lanai. Kids can splash around in the pool, while mum and dad relax in the Jacuzzi. When evening rolls around, guests gather for the Evening Poolside Reception complete with complimentary coldies for adults, lolly waters for kids, as well as snacks and live entertainment, three times a week.